This rare desk chair was designed by Melchiorre Bega in the late 1930s. Its expressive organic legs are complemented by the elegantly curved lines of the 360° rotating seat. 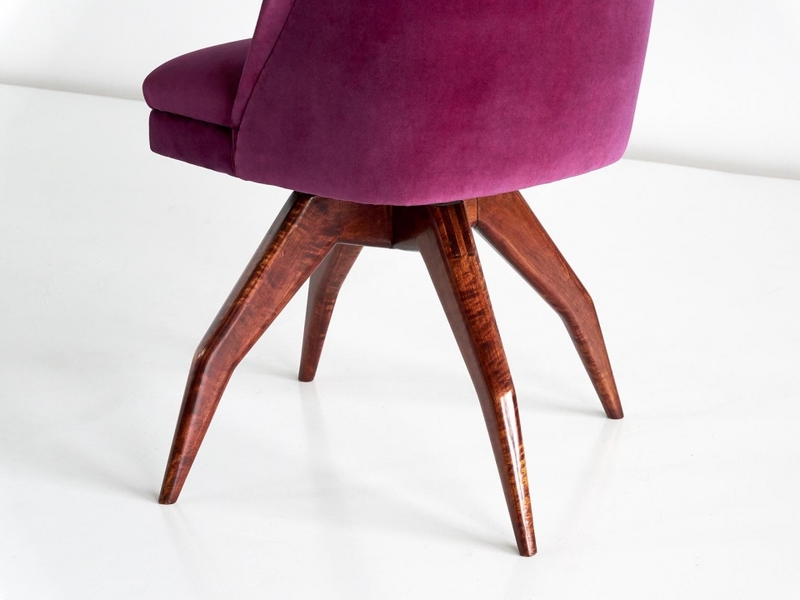 The sculptural legs are executed in solid mahogany, and the chair has been newly upholstered in a luxurious warm purple Rubelli velvet. Condition: Excellent. The chair has been newly upholstered in a plum Rubelli velvet.